Washington Democratic Gov. Jay Inslee invoked former British Prime Minister Winston Churchill in announcing a legislation aimed at fighting global warming. Churchill gave similar remarks before British Parliament in May 1940 in the early days of World War II. Inslee and his allies cited the recent National Climate Assessment to back equating future global warming to Nazi Germany sweeping across Europe. 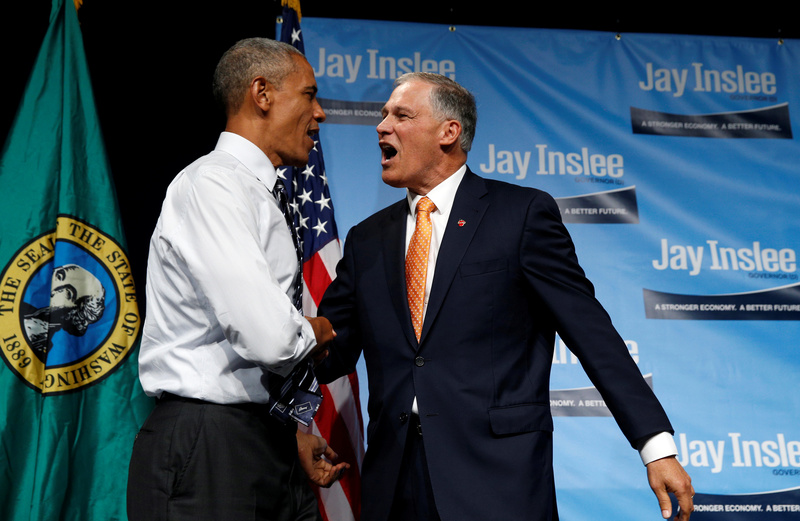 Inslee, who is a 2020 presidential contender, is styling himself as a leader for Democrats agitating for action on global warming. Inslee is considering making global warming a central theme of his campaign should he seek the Democratic nomination in 2020. Inslee’s legislative pitch comes weeks after Washington voters rejected a ballot initiative to tax carbon dioxide emissions. The Inslee-backed measure was defeated in an overwhelmingly Democratic state in November. Inslee’s legislative proposal would force utilities to use 100 percent clean energy, mandate more energy efficiency in buildings, require a “clean fuel standard” and phase down hydrofluorocarbons (HFCs) in refrigerators and air conditioners. Those policies would cut Washington state greenhouse gases 25 percent below 1990 levels by 2035, according to Inslee. “Washingtonians are ready to see their elected leaders step up to prevent further harm to our forests, our air and our communities. 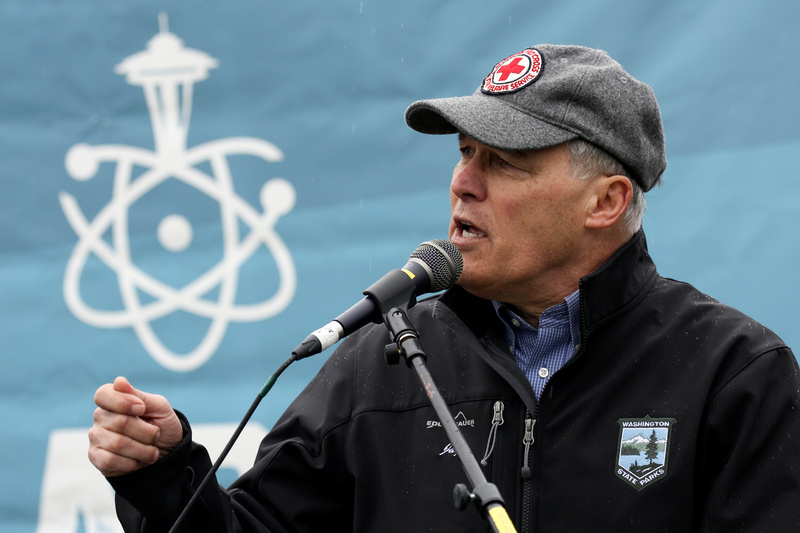 These are enormous steps forward in our effort to save our state and our planet,” Inslee said. U.S. President Barack Obama takes the stage to speak at a fundraiser for Washington Governor Jay Inslee (R) in Seattle, June 24, 2016. REUTERS/Kevin Lamarque. Washington already gets most of its electricity from “clean energy,” being the largest state producer of hydroelectricity. The state also has existing laws mandating 15 percent of its electricity come from renewables, like wind and solar. However, Inslee’s critics point out that state green policies have raised energy prices, including in Seattle where electricity prices have doubled since 2013. “Costs have nearly doubled since 2013,” Todd Myers, environmental director at the Washington Policy Center, tweeted Monday. Inslee also neglected to mention the most important aspect of climate policies — their projected impact on future global warming. That’s probably because anything Washington state does will have no measurable impact on projected climate change. The governor also used alarming rhetoric when announcing carbon tax legislation earlier this year. “We have just 59 days to do our part to save our children from an endless cycle of crop-killing droughts one year, and rivers spilling their banks the next,” Inslee tweeted in January.